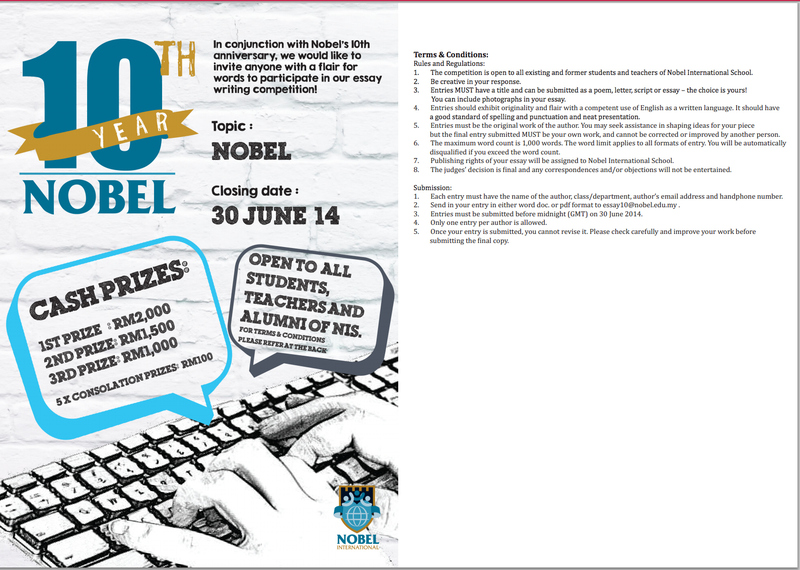 Hello homo sapiens, as you can see from the title, this is about our Nobel 10th Year Essay Writing Competition. Want to win cash prizes up to RM2000? Think you are good in writing? If you want to, join this! This competition is only open to all students, teachers & alumni of Nobel International School.